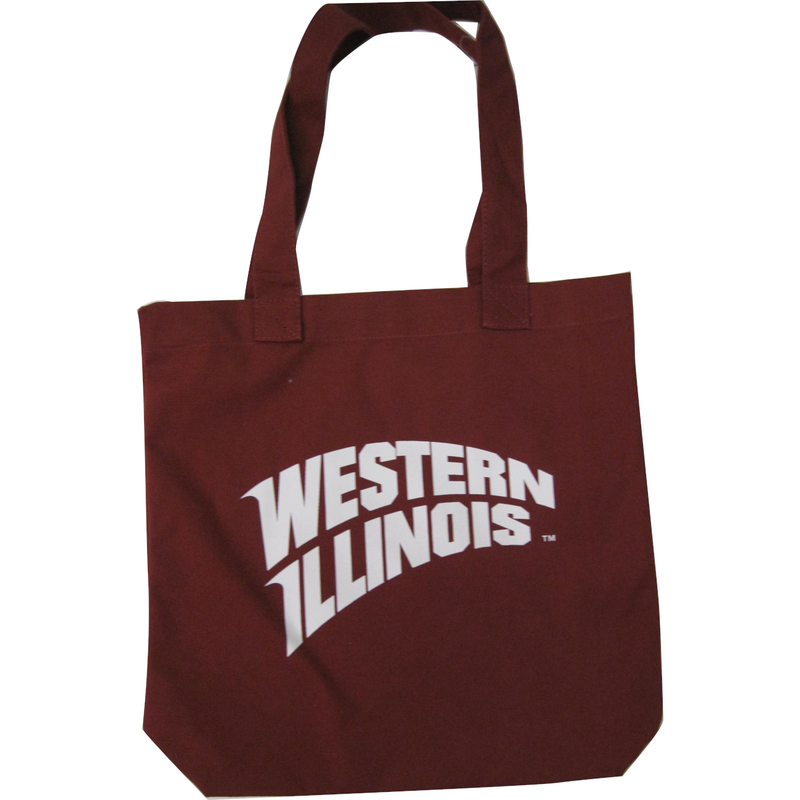 Our cotton tote bag comes in a crimson color and features the Western Illinois sweep. Made of 10 oz. combed cotton.